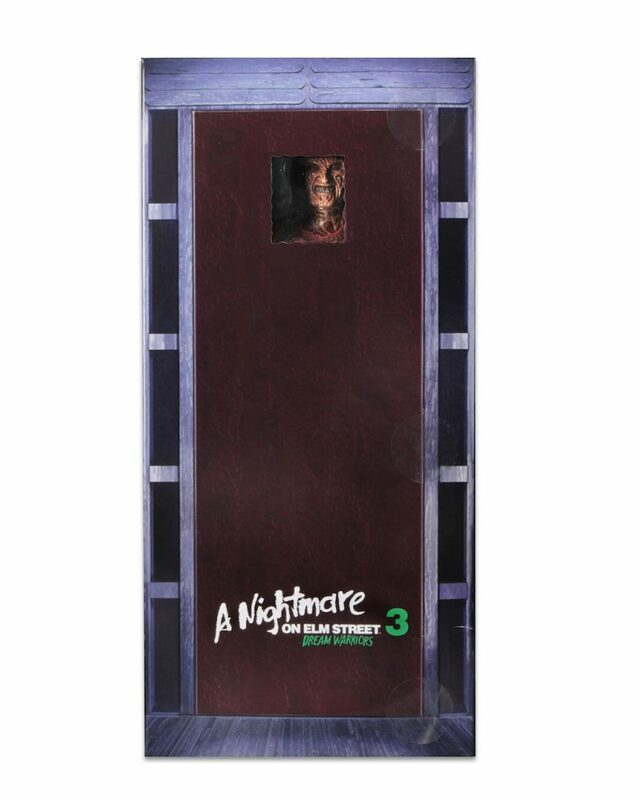 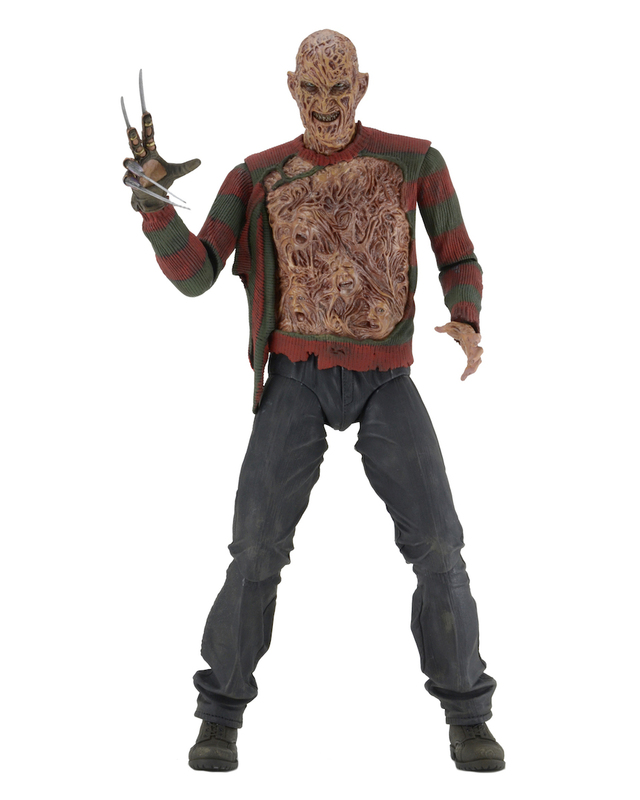 Introducing a new quarter scale action figure celebrating the 30th anniversary of the cult classic Nightmare on Elm Street Part 3: Dream Warriors! 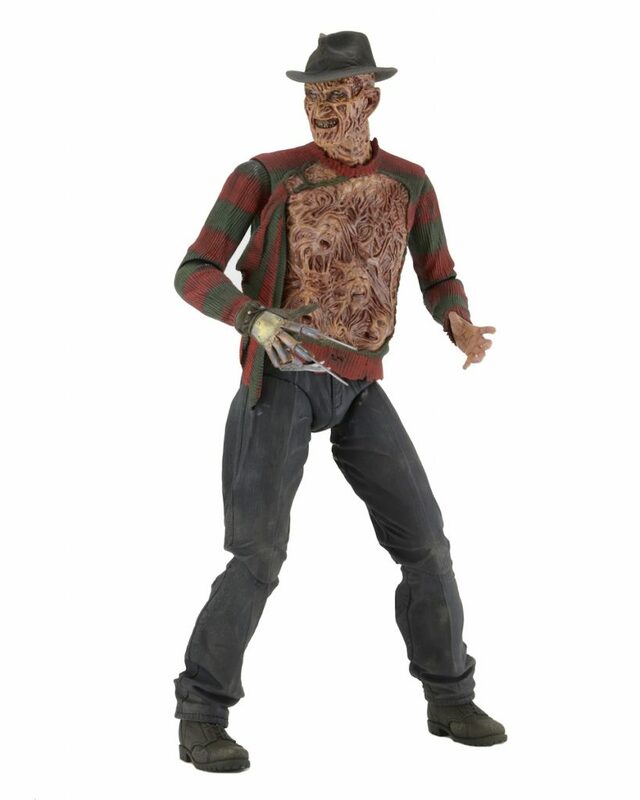 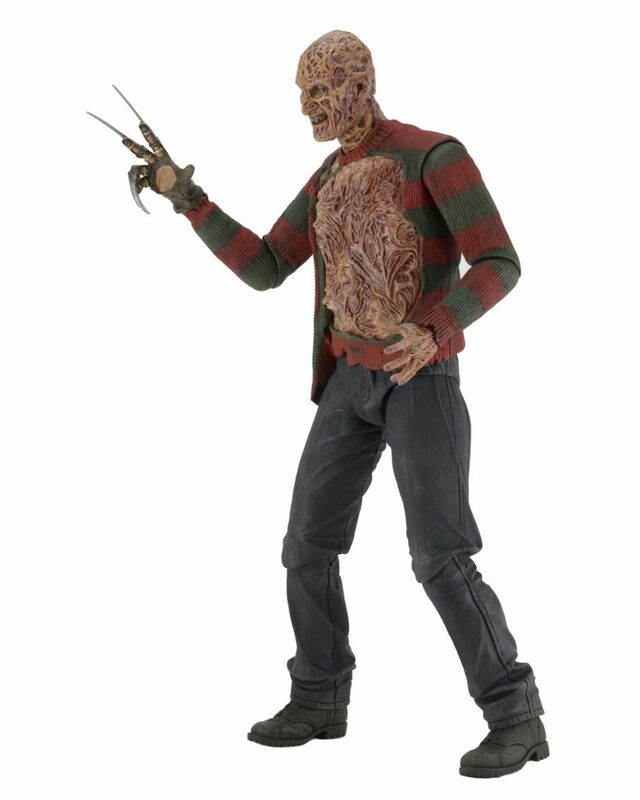 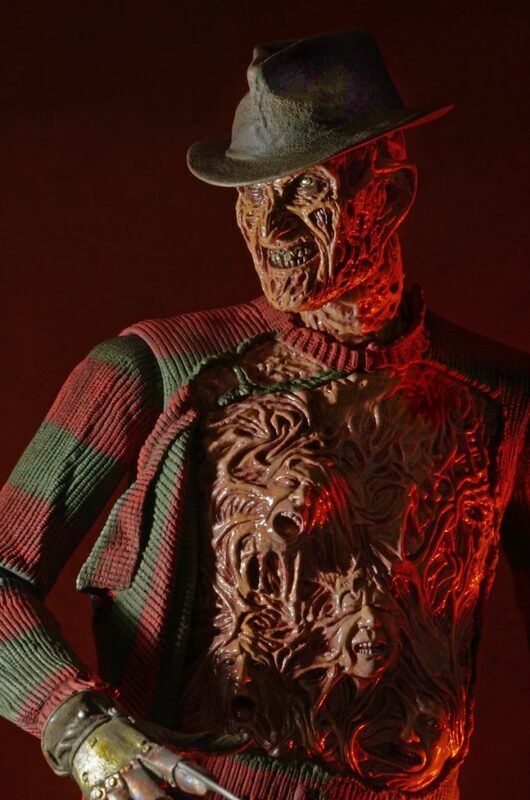 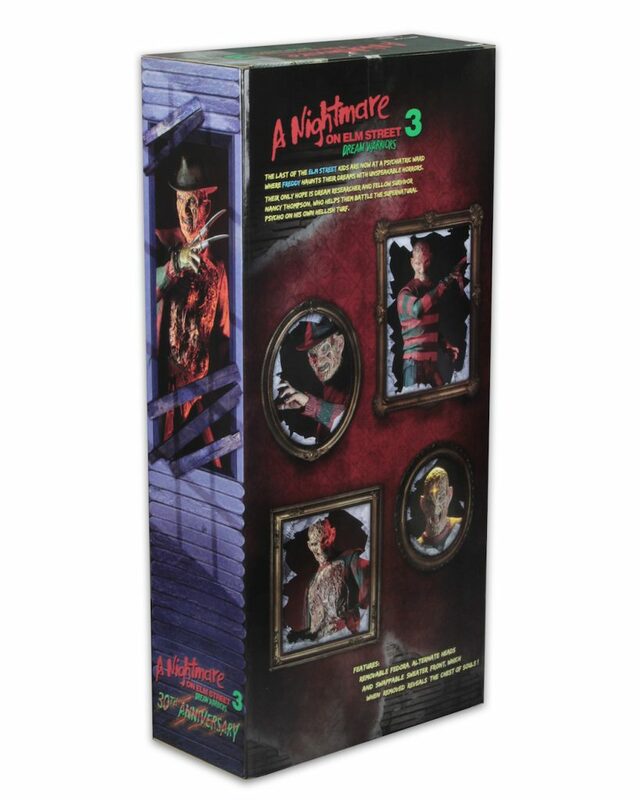 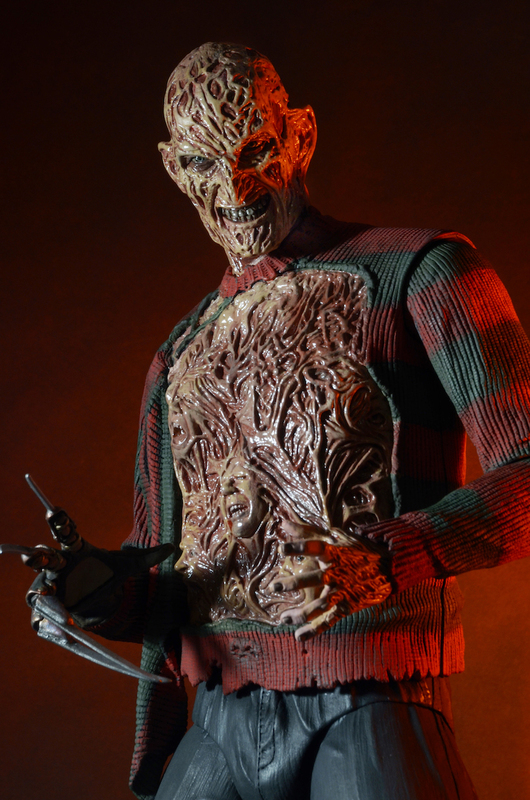 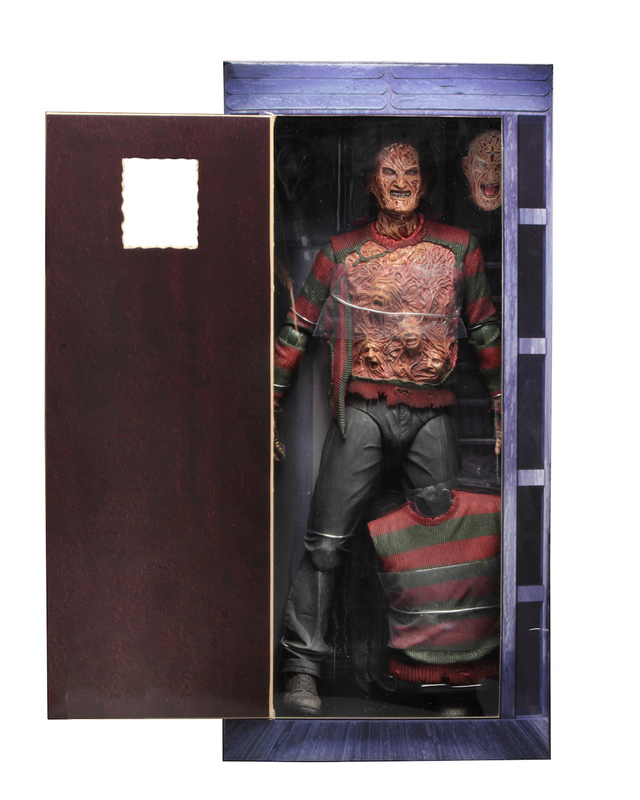 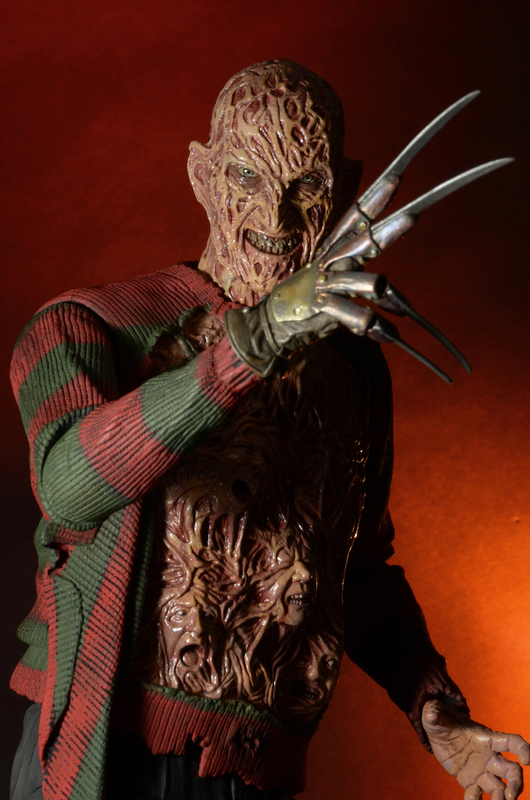 This new Freddy Krueger figure stands 18” tall and features plenty of gruesome detail, like interchangeable heads and chests to recreate different parts of the movie. 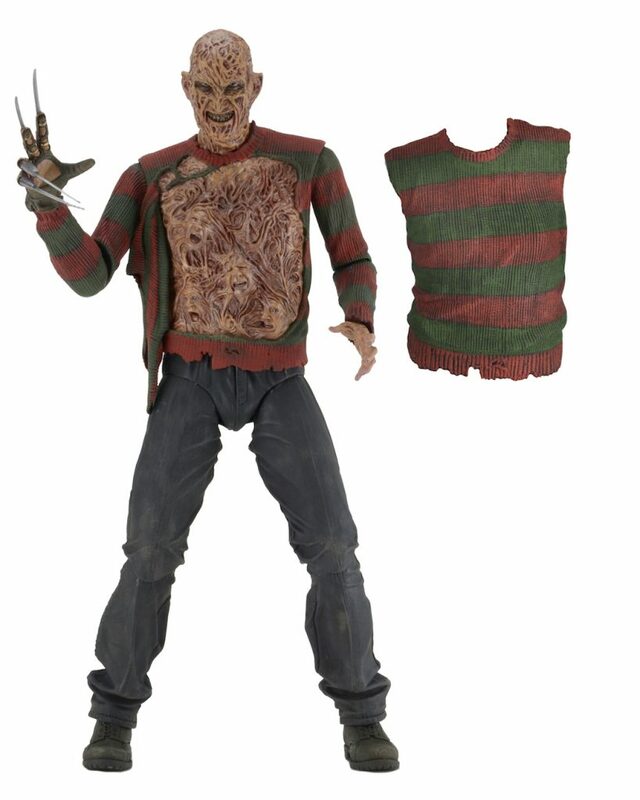 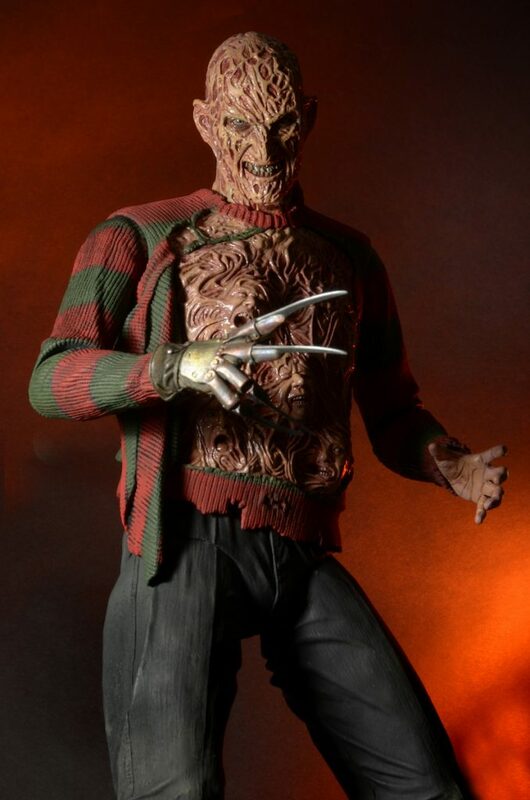 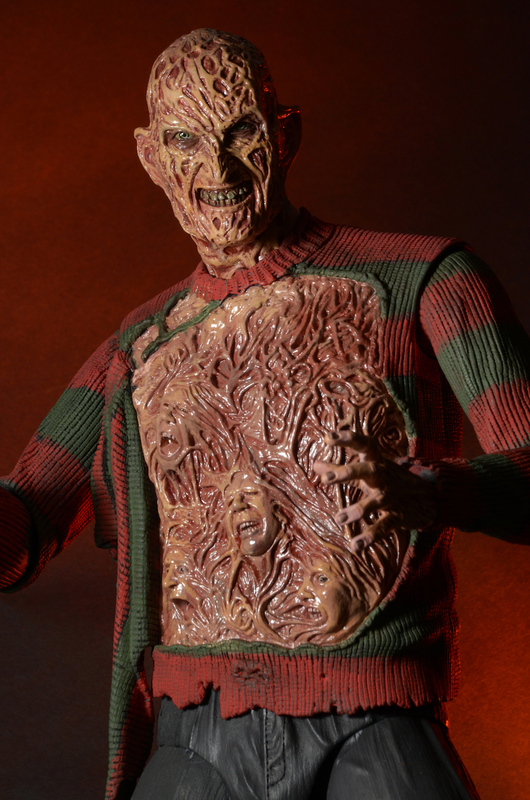 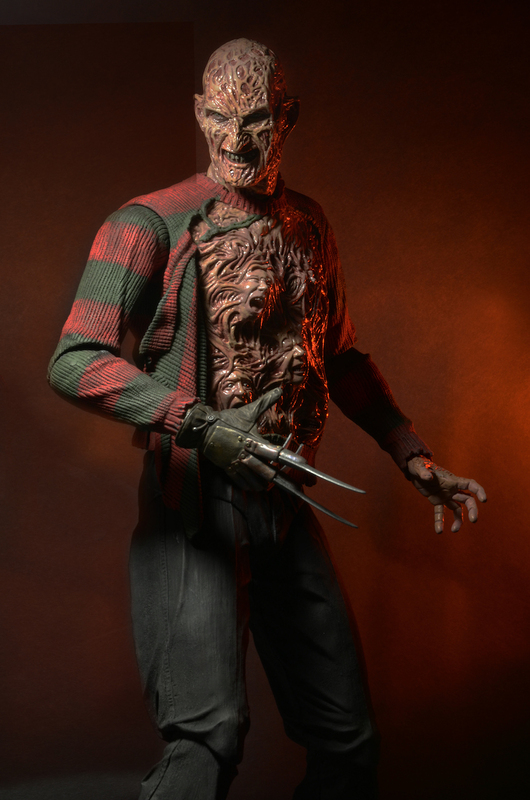 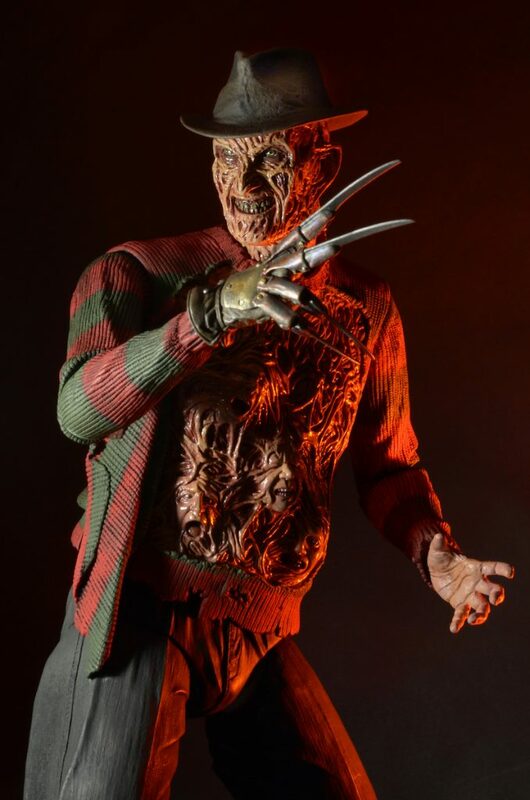 You can swap out his regular sweater front to display the tortured spirits trapped in his Chest of Souls, or switch up his regular “evil Freddy” head with a “crucifix head” with light piping effect! 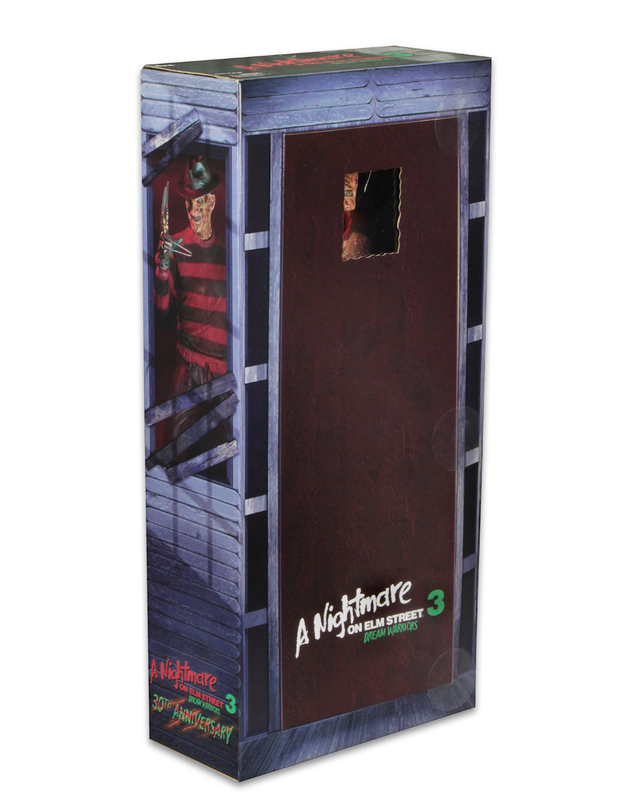 He’s equipped with over 25 points of articulation and comes in collector-friendly deluxe window box packaging.